Location: Las Palmas de Gran Canaria, Canary Islands, Spain. For us at Surf & Help, Las Palmas is a true paradise for your surfing holidays. 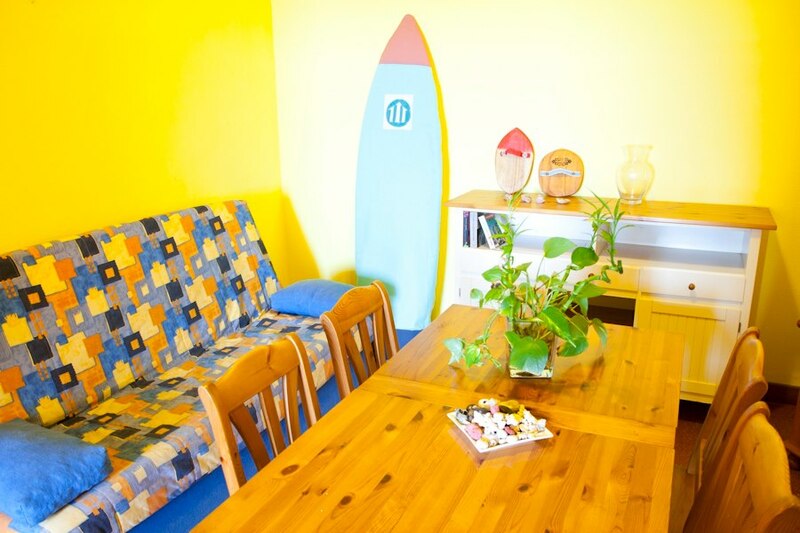 About the camp: The Surfcamp Las Palmas really offers more than a traditional surf camp. The surfing lessons and accommodation in this great location are the basis of the camp. Beyond that, we think that the environmental considerations and activities of the camp genuinely are outstanding. One highlight in this context is that you will have the chance to plant your own tree as part of a reforestation project. Read more on that below under “The Help Factor” below. The camp also offers guided tours, stand up paddle and a wide range of activities like day trips, art projects, bike tours and more. About the accommodation: There are a wide range of different accommodations options: 1) Surf Hostel right at the beach with sun terrace and private or shared rooms 2) Surf apartments with ocean view for 2-3 persons 3) Surf house with private- and shared rooms directly at the beach promenade for up to 5 persons 4) Surf hotel 30 meters to the beach possible with breakfast/half board and full board. So you should not struggle to find the right option for your surfing holiday. Season: The camp and surf school are open all year round and blessed with good climate and surfing during all seasons. * Other free activities: material for beach volleyball, snorkeling, longboard skate etc. available for use, tapas night in the old town every Thursday (special offer Tapa & Dink 2€), live music tour every Saturday night at the beach promenade. Also on offer are Spanish lessons and a co-working zone and a 50% discount for artists. * Surfing lessons are given by the current staff of five surf instructors. How to get there: The airport of Gran Canaria is located just 16 km south of Las Palmas. To get to the capital you need 30 minutes driving by car or 40 minutes going by bus. The surf camp also offers airport transfer. 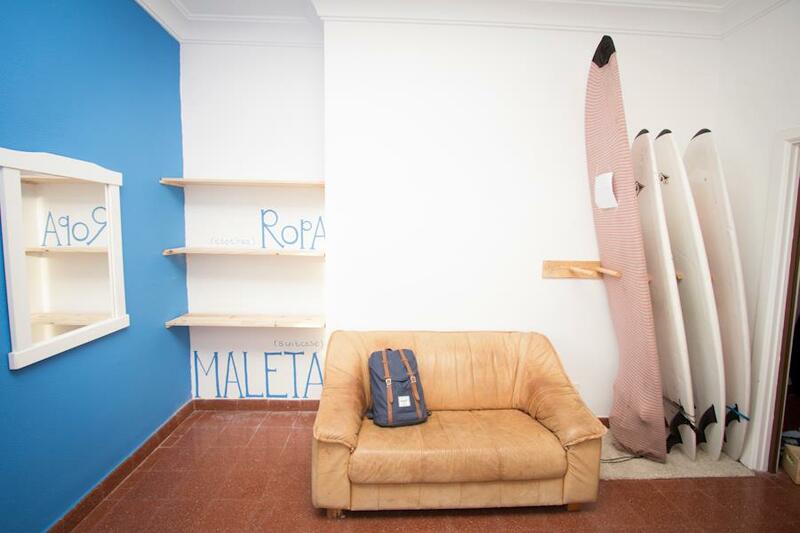 More packages and details on the Surf Camp Las Palmas website. We will send you the details and final price of our requested surfing holiday package before you decide on making your reservation. 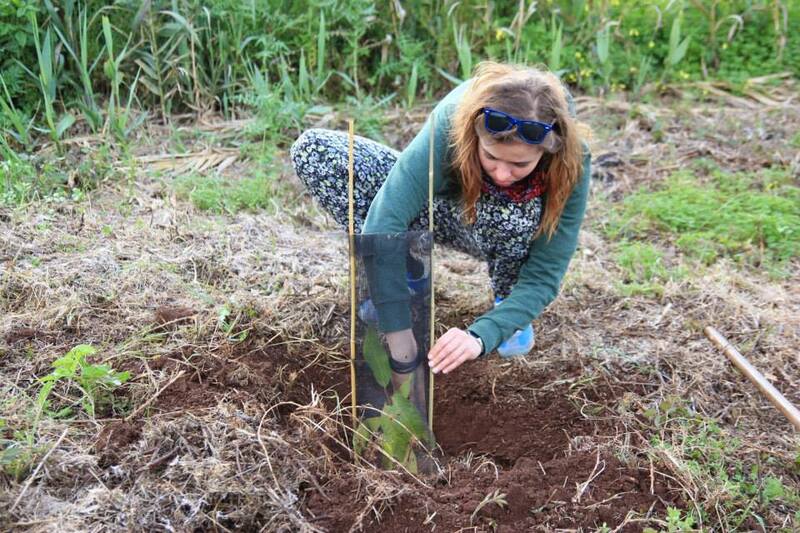 Book your trip and you will be able to plant your tree in the Surfers’ Forest. This initiative is an amazing nonprofit project created by the Surf Camp Las Palmas with the main aim is to provide surfers the chance to demonstrate their commitment to nature by reforesting Gran Canaria. In this way we can compensate the carbon footprint surfing creates e.g. caused by producing surfboards and wetsuits or traveling. Read more about this innovative project here. Step 1: Choose the package with dates you like to book either from the packages mentioned here or visit the Surf Camp Las Palmas and submit our reservation request form. Questions? Just contact us or the Surf Camp Las Palmas team.